Only 3000. Includes detailed leaflet about the statue and Anne Stokes. Also certificate of authenticity with number for example 33/3000. 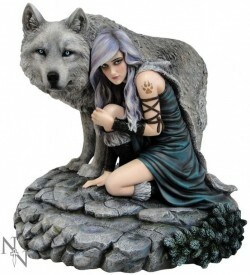 Protector features a pale haired girl in the mountains watched over by her large grey wolf familiar.